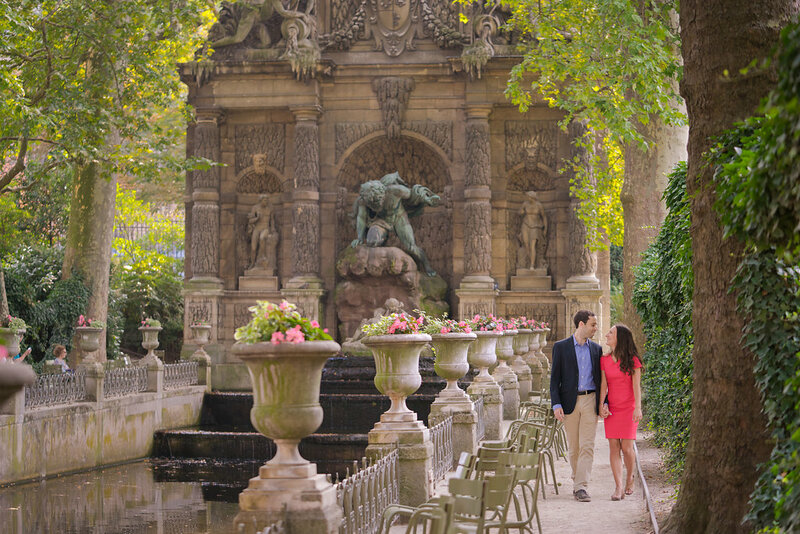 I love early morning proposals at Luxemboug Gardens. 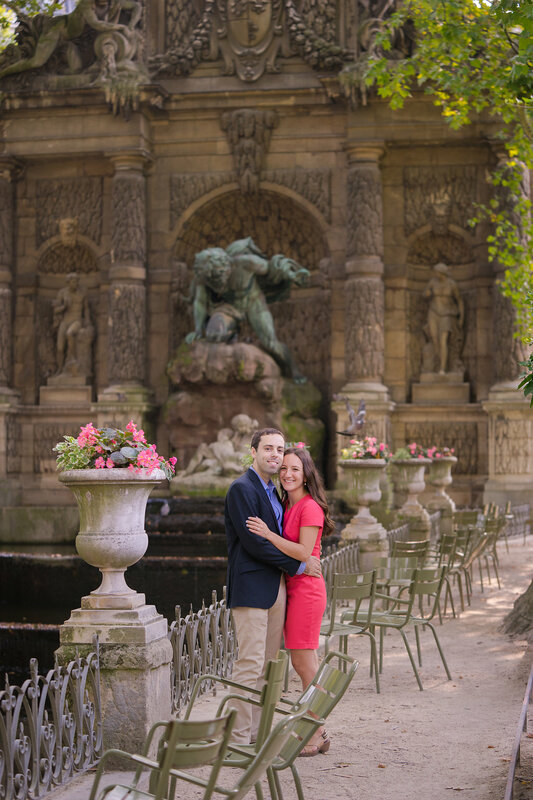 The setting is so serene and private, especially in the early morning. 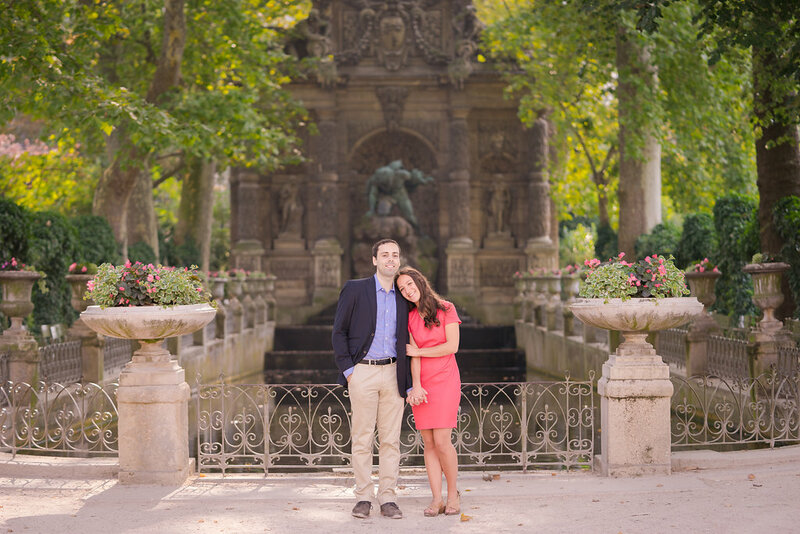 Adam wanted to propose to Leah in a beautiful, yet private and quiet location, so we chose to meet early at the Luxemboug Gardens at theMedici fountain. Leah was of course surprised and so so happy! 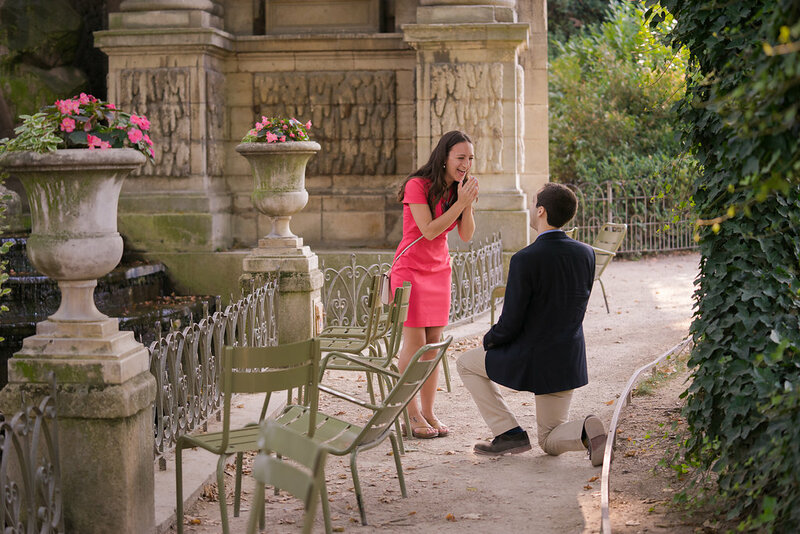 Bravo Adam and congratulations to you both!